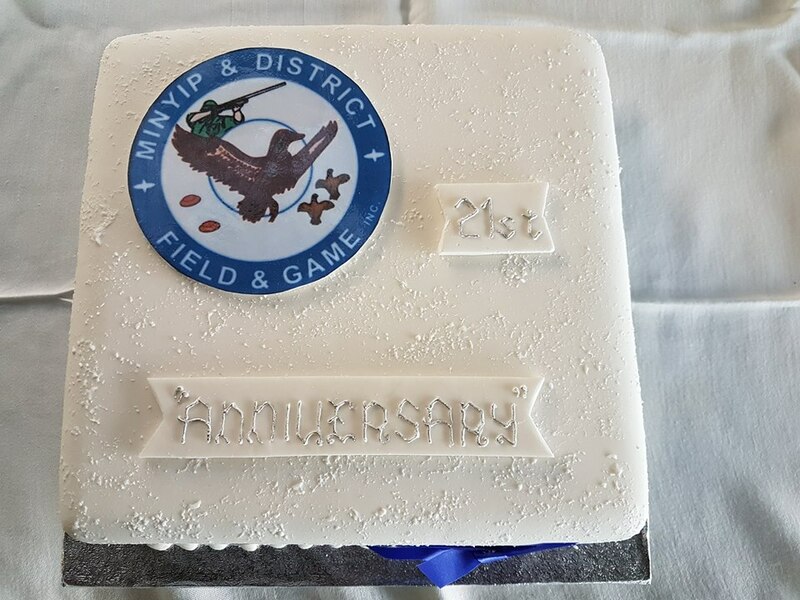 Minyip Field & Game celebrated its birthday with a 21st Anniversary Shoot. Sponsors for the special occasion included The Wilken Group, Mackay Leading Edge Jewelers, GD Sales,Teasdale Ag and the Krause family. Mick Cramer Spray Painter & Smash Repairs and Wimmera Trophies and Gifts of Horsham produced the 21st key and Lorraine Krause produced a magnificent cake. High Gun: Craig Scheele 90/100. Junior U/18 1st: Lachlan Punchard 77/100, 2nd: Callum Beaty 59/100. 25 Target Break Badges awarded to Jason Dowdy & Greg Deutscher.